Relational database technology can’t handle what is coming in banking and risk modeling. By the 2020s, Accenture predicts current banking business models will be swept away by a tide of ever-evolving technology and other rapidly occurring changes. The right foundation for building compliance solutions is graph database technology. Neo4j answers the demands of Fundamental Review of the Trading Book (FRTB) regulations while building a foundation for future investment and risk compliance applications. Neo4j is the world’s leading graph database platform and the ideal solution for tracking investment data lineage. In this series on the FRTB, we explore what it takes to create effective internal risk models using a graph database like Neo4j. 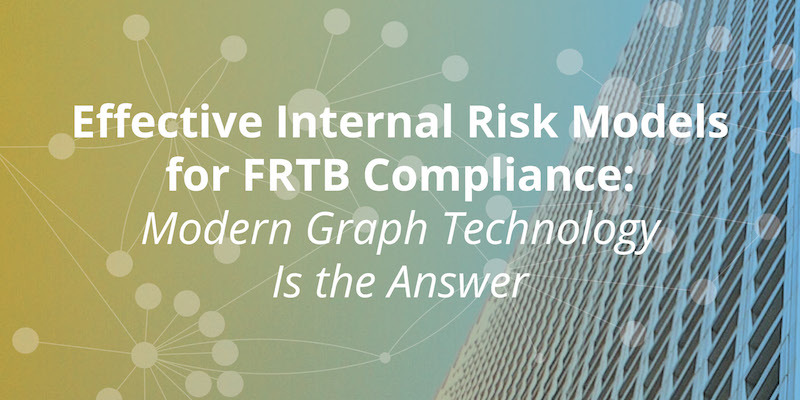 In previous weeks, we explored the requirements of FRTB compliance and the relationship between risk modeling and data lineage. In this final post, we explain why modern graph technology is an effective foundation for compliance applications. These strict demands require a technology platform that understands connected data and that models the interdependence and complexity of data lineage in modern markets and investment instruments. For all these reasons and more, traditional technologies are simply unfit for creating and maintaining investment risk models and compliance reporting applications. The right foundation for building compliance solutions is graph database technology. A native graph database stores, accesses and processes information not in tables, but as directly connected data – which is the precise way that data must be managed to build efficient, reliable risk models. Compliance applications using native graph technology iterate back and forth through data connections to produce lightning-fast risk assessments. Such high performance provides the agility that trading desks need to take full advantage of market opportunities while remaining compliant with the ever-changing and dynamic nature of risk regulations. As the world’s leading native graph database platform, Neo4j is the ideal solution for effectively capturing investment data lineage across internal and external applications and data sources. 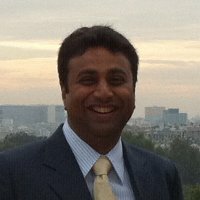 Due to its ability to store this lineage as a graph of connected data, Neo4j traverses the connections in real time to assess risk factors and compute capital requirements across all positions and trading desks. Additionally, the Neo4j graph platform has data visualization tools that enable analysts, supervisors and regulators to visualize the lineage of risk factors to create compliance models, and later, to run what-if scenarios to test and improve them. The greatest challenge in developing and maintaining investment-risk models is integrating information that resides in many discrete silos across the enterprise. These data silos exist because trading, fund management, accounting, cash management and pricing systems operate and store data independently of each other. It is impractical and prohibitively expensive to integrate all these investment applications into a single compliance solution. Instead, Neo4j enables an organization to use a federated metadata model to unite investment data silos into a unified dataset. Once the federated metadata layer exists in Neo4j, risk supervisors can trace the lineage of risk factors back to their original, authoritative data sources, thereby solving the number one problem in building compliance systems. But this new, connected data foundation can also support a full spectrum of innovative uses – including credit risk analysis, value-at-risk calculations, fundamental research, market and sector analysis, investment-desk performance studies, return on invested capital analysis, and many more mission-critical systems. While BCBS’s current deadline for achieving FRTB compliance is January 2022, banks are acting now to use FRTB mandates to streamline their internal systems and build a firm foundation for future compliance applications. By investing in compliance now, organizations answer the demands of Basel and FRTB regulations while building an infrastructure that produces remarkable savings in software development and staffing expenses. By using their compliance foundation to determine optimal reserve ratios on a continual basis, financial institutions of all sizes maximize available capital and drive investment profits.